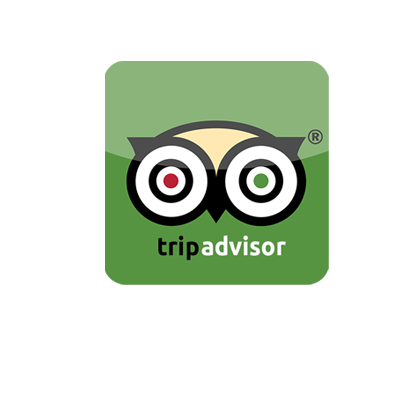 Many of our guests kindly leave us a review in our visitors book or on TripAdvisor. Here are just a few of the many reviews we have received. 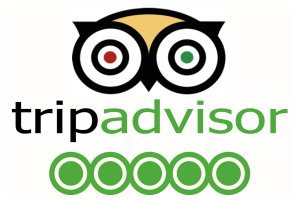 Also check out our most recent reviews on Trip Advisor & AirBNB. Beautiful apartment – very clean, cosy and comfortable! Would reccommend! The Lantern is a stunning , spacious 5 star house, decorated beautifully and equipped with everything you need to make the stay cosy, comfortable and luxurious! Cannot praise it highly enough ! It is situated near the promenade which takes you to the South Bay from the north Bay. Close by is the fantastic Watermark Cafe , and there are restaurants and store 1 minute walk away!! A gorgeous park to stroll around is in the doorstep. Quiet location too, perfect! It is a great base for visiting Whitby and Robin Hoods Bay! Thank you Paula! My family and I could not fault this place during our week stay. The decor and space was a delight to return to after a busy day. Nice little touches like some fresh milk and plenty of tea & coffee is always welcome upon your arrival. My husband and I have just returned from a four night break at The Steeples, along with my daughter and grandsons aged 5 and 2. We have stayed in lots of rental properties over the years but none of them have compared with this one. It certainly is the best. It is very comfortable and well equipped, lovely and clean. Lots of little extras are provided and our grandchildren were well catered for with toys, games and DVDs. Paula and Mark certainly try to think of everything for their clients. It is a good base for getting around and well within walking distance to the beech. Fantastic apartment that is well equipped-had everything you could need and more besides! It’s a brilliant location, only 10 mins walk to beach but you wouldn’t know because it’s so quiet and peaceful. Owners were really helpful and informative and you knew they would be there if you needed them for anything. Lovely garden that was good to sit in, especially in the sunshine! The apartment was so modern, well decorated and very clean! Me and my partner and our son have just spent 4 wonderful nights at The Belfry. Everything about The Belfry is of a very high standard, tasteful decor, extremely well equipped, great location; quiet and within walking distance of the town centre. It has everything you could want from a holiday rental, we all felt very at home during our stay, the lounge was excellent for relaxing in, lovely comfy sofa’s and a big bay window. Everything was clean and fresh, comfy beds, comfy sofa’s, fresh towels. I honestly can’t pick any faults with The Belfry, the owners have definitely gone out of their way to make it an enjoyable stay as possible for their guests. I would definitely recommend staying at The Belfry and we plan on returning in the future. excellent cannot fault the provisions,high standard of everything in the apartment. The apartment is excellent,provisions provided by the owner are very high standard welcome pack was brillant, highly recommend bowling. It is a short walk to the beach or the town but this allows you to be inquistive to your surrounding area. If you like quality we recommend a booking here. Beautiful apartment completed to a high standard. We had a lovely time staying in this apartment. The owners have included everything you need and it truly is a home away from home! Every room is furnished to a high standard. Superb Everything was perfect, lovely decor and very clean. Particulary loved the open fire a rarity !! Thanks to Paula for accommodating our requests, we’ll certainly return later in the year. Fantastic apartment in a great location. Superb décor and fittings everything has been thought of. Hope to return sooner rather than later! Lovely apartment, décor and furnishings. Loved the garden and location. Patio great for summer eating and drinking. Beds comfy and warm. See you next year. We were amazed when we arrived at the Steeple. It’s a beautiful old house, which has been made into a lovely, comfortable home. Every little comfort and necessity is here. Thank you both for a great stay. The apartment is so lovely – fine attention to detail. My children and I have had a fabulous time!